Here are brief explanations for some of the most common questions about the For Rent By Owner system. If your question is not answered here, feel free to contact us by completing the form on the contact page. ForRentByOwner.com's rental posting partner Zillow, which also operates Trulia and HotPads, has recently started charging a daily fee for having properties listed on their sites. Zillow first made contact with ForRentByOwner about this on April 1st, and then on April 9th verbally confirmed that, starting May 15, 2019, Zillow Group will no longer show ForRentByOwner rentals on its sites without that fee. We at ForRentByOwner currently plan to give owners the option to continue to list their rentals on Zillow, Trulia, and Hotpads, but new systems allowing payment for this option may not be available until June or July. When payment for this option becomes available, "Zillow" will clearly be shown at the ForRentByOwner.com site, and we will send an email to registrants about the new option. For those of you with homes available for rent on the site, we currently plan to offer a $20 refund if you made payment between February 14 and April 15, 2019. If you made a payment for an ad in that timeframe, to receive a refund, simply send us a message using the ForRentByOwner.com Contact Us page. Please be sure to include your full name, the email address associated with your account, and the full address of your rental. • ForRentByOwner.com generates leads from prospective tenants within a few hours after posting a rental ad. • Owners can edit their ads to adjust for rental prices and additional photos. • Hide or Un-hide ad indicates its RENTED or AVAILABLE. • Ads are stored indefinitely on the system until DELETED by the owner or agent. • Owners and agents can link to their webpage in their rental advertisement. • All ads are uploaded to Zillow.com & Trulia.com nightly, free of charge. • Renters can email or call owners / agent directly. • Find rental properties by clicking on the state or country. • Find rental properties by typing the ZIP Code, City, or Town in the Search box. • Find rental properties by searching for keywords in the property Header or Description. + Tell us about the company ForRentByOwner. For Rent By Owner, Inc. is registered with the Secretary of State, Colorado, USA and has been in business since 1997. Our mailing address is 200 S. Wilcox Street #445, Castle Rock, CO 80104. Customer support email and phone: VCO@ForRentByOwner.com, 610-689-0182 EST. ForRentByOwner.com is offered as a central location for prospective tenants to connect directly with property owners and /or their agent. Our focus is on real estate rentals. + Can a property manager, broker, or real estate agent post a rental ad? Yes. A property owner, agent, investor, broker, property manager, or vacation manager can post rentals on ForRentByOwner.com. 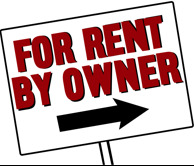 The site’s URL “For Rent By Owner” does not mean that only an owner can post a rental on the site. Any individuals and organizations representing the owner may advertise on the site. + How many rental ads can I post? An unlimited number of ads can be posted for $20 per ad with up to 10 photos on each ad. + What are the costs to place an ad? Each ad may be posted for $20 with up to 10 photos and will be displayed on the site for 90 days. The system will send you reminder notices to update your ad prior to 90 days and periodically prior to 18 months after posting your rental. + Is the Sign In password case-sensitive? No. The email address is not case-sensitive either. + I can’t Sign In because I forgot my password. What should I do? Clicking here will send your password to the email address provided. Your password will be sent to that email address within a few seconds. + I forgot (or changed) my email address and I forgot my password. What should I do? We can help. Describe the problem and we’ll work with you to get it fixed. Email VCO@ForRentByOwner.com or call 610-689-0182 (Website Support). + Why do I get a message that my email address is not on file when I try to Sign In? + How do I post my rental property to be advertised on ForRentByOwner.com? Go to www.ForRentByOwner.com and click "Place an Ad." First time users must register and sign in with your email address and a password of your choice. + How do I Edit, Delete, or Add Information to my ad? 1. Go to www.ForRentByOwner.com and click "Sign In". 2. Enter your email address and password. Forgot your password? See “Forgot My Password” above. Password correctly entered? Your ads will open. 3. Click on the street address in your ad. 4. Update any information as necessary. •	We recommend that you post your best photos first. Only the first four photos will be uploaded to Zillow and Trulia. We also recommend that you post all your photos prior to payment to ensure visibility. •	Click the Delete button to permanently delete your ad and remove it from the ForRentByOwner.com database. Note: Select “Rented” on the “Manage My Ads” page and the system will save all your text, property features, and photos. If the property becomes available again, simply select “Available” and your advertisement will again be viewable by prospective tenants on ForRentByOwner.com. + How do I update my ad? 2. Enter your email address and the password. Forgot your password? See “Forgot My Password” above. Password correctly entered? Your ad will open. 3. Click on the street address in your ad. You can update text, add additional features, change the price, etc. then click the Update button. You can Add Photos, change rent amounts, add more description, etc. When your property is rented, click on “Hide My Ad”. Any time you update your ad, the ad goes to the top of the home page and to the top of the state list. + How do I update my contact phone numbers and email address? Go to www.ForRentByOwner.com and click “Sign In”. Click on the “Profile” button and update your contact information. Both email address and phone number are required to post an ad. + Can I hide my ad if it is rented and reactivate it when it needs to be rented? Yes. Go to www.ForRentByOwner.com and click "Sign In". You should see your ads. Click “Rented” or “Available” on the left side of each ad. Clicking “Rented” hides your advertisement from prospective tenants. Your ad remains in this database for 18 months in "My Ads" but is not shown anywhere else on the site. + My property is rented or sold. What should I do? When your property is rented, change the status of your property to “Rented”. If it is sold, delete your ad. Go to www.ForRentByOwner.com. Enter your email address and the password. Forgot your password? See “Forgot my Password” above. Password correctly entered? Your ads will open. This database will store all text, features and photos so you can set your property as “Available” at any time to re-display your ad to prospective tenants. + Will I get notices to update my ad? Yes. Email reminders are sent 10 days, 5 days, and 1 day prior to an advertisement’s expiration. You can choose to update the ad at that time or do nothing and your ad will expire. After your ad expires in 90 days, it remains in the database, hidden from view from perspective tenants. As the property owner or agent, you can view, update, edit the property data at anytime or change the status to “Available”. After your ad expires in 90 days, it remains in the database, hidden from view from prospective tenants. As the property owner or agent, you can view, update, and edit the property ad at any time. + How do I delete an ad? 2. Enter your email address and the password. Forgot your password? See “Forgot my Password” above. Password correctly entered? Your ads will open. 3. Click on your ad. Click the Delete button. Clicking “Rented” will also take your rental off the market. Instructions for Adding Photos, Deleting, and Updating postings as “Available” or “Rented” were emailed to you when you posted your rental. Need more help? Email VCO@ForRentByOwner.com or call 610-689-0182. + What photo format and resolution does ForRentByOwner.com accept? ForRentByOwner.com supports photos in .jpg format with medium to low resolution. High-resolution photos greater than 2,000 x 2,000 may not post. If your photos are not posting, please reduce the resolution or picture size. + How do I add a photo to a text-only advertisement? Few people will click on your ad unless it has photos. Here’s how to add a photo. 2. Enter your email address and the password. Forgot your password? Please see “Forgot Your Password” above. Password correctly entered? You should see your ads. 3. Click on the address in your ad. Click the Add Photos button. Click the Browse button and find the photo on your computer to post. Then click the yellow “Add Photos Now” button. Questions? Email VCO@ForRentByOwner.com or call 610-689-0182. + Why should I add photos to my ad? Potential renters respond better to ads with photos. 1. Go to www.ForRentByOwner.com and click “Sign In”. 2. Double click on the address in your ad. 3. Scroll to the bottom of your ad and click Add Photos. 4. Click the “Browse” button and find the photo on your computer to post. 5. Click “Add Photo Now”. + Am I ready to post an ad? You should have all your photos ready to post along with the text of your ad prior to payment through the Paypal system. + Can I substitute a new photo for one already posted at no cost? Yes. If you have already posted photos, click on the old photo to delete it and add the new photo. The procedure is the same for any additional photos. Once you have paid, you have the ability to post up to 10 photos, and to replace them as you see fit. Each time you update your ad, your ad goes to the top of the home page and the state list. Click on the FOR RENT BY OWNER logo on the home page to see your advertisement, or click on the state in which you’ve posted your advertisement. + How do I delete a black photo or any photo and replace it with another? 1. Got to www.ForRentByOwner.com and click "Sign In". 2. Enter your email address and the password. Forgot your password? Please see “Forgot your Password” above. Password entered correctly? You should see your ad with the photos you’ve already posted. 4. Click on the photo you wish to update/delete. + Why is my photo so small when displayed on ForRentByOwner.com? Your photo resolution is too small. If the resolution in the photo is less than 100x100, the photo will appear small even after you click on it to expand for better viewing. You should have a photo resolution of at least 200x300. + What if I am having trouble uploading photos? The problem could be related to the web browser, photo size, photo format, or operator error. If you have successfully placed an ad on the website but cannot upload pictures, please email the photos to us at VCO@ForRentByOwner.com. We will help you solve the problem or post the pictures for you. + How do I find a rental property? 1. On the home page, click on the state or continent where you are looking for a rental. You will see a number displayed showing the number of available rentals posted in the last 90 days. 2. Click on any column heading: Type, Location or Rent. You can sort from Apartments to Vacation rentals, “A” to “Z” for the city, or rent amounts from high to low or visa versa. Sorting will make it easier for you to find a rental. 3. Find a rental using a keyword in the Search or Find boxes; type in words like “ocean,” “beach,” “horse,” “acreage,” etc. The database searches the Rental Heading and Description fields and presents those properties based on your keyword search. 4. Type a city or town name in the Search or Find boxes, and the system will display a list of rentals by location. For example, type a partial word like “Castle” to find “Castle Rock, Colorado.” Zip codes are searchable. 5. Click on the ad of your interest to view more details and contact information. 6. Email or call the owner. The owner’s name is highlighted in red and contact information can be found to the right. + Can I sort by the column headings? 2. Click on the state or continent where you are looking for a rental. 3. Click on the column headings: Type, Location, Rent. You can sort from Apartments to Vacation rentals, “A” to “Z” for the city or rent amounts from high to low or visa versa. Sorting will make it easier for you to find a rental. + Can I find a property by typing in the town, city or Zip Code? + How do I find a rental property with specific attributes? Type a keyword into the Search or Find boxes: e.g. “ocean,” “beach,” “horse,” “acreage,” etc. A keyword searches the advertisement database and presents those properties containing your keyword somewhere in their title or within their description. + How do I contact the property owner or agent? Click on the contact’s email or call the contact. 2. Search for your desired location, keyword or zip code. 3. Scroll through the posted rentals. 4. Click on the advertisement of interest to you. 5. Click on the owner’s name shown in red tgo send an email or call the owner. The Contact link at the bottom of the page is for contacting ForRentByOwner.com Website Support. ForRentByOwner.com cannot provide additional or private contact information for its users. + How can I verify that my ad is posted correctly? Click on the FOR RENT BY OWNER logo in the upper left corner of the page. Your ad will appear in the "Recent Ads" on the home page immediately after you post it. + How can I get my advertisement on the top of the state list? Your ad goes to the top of the state list after you post your ad. The ad will be superseded by newer ads as they are posted. If you want to stay on the top, simply log into your ForRentByOwner.com account and update your ad in the “Manage My Ads” area (you must have 2 or more photos for this to work). + Can I get another 90-day free ad for the same posting? Within the 90 days from when you initially posted your ad, you can modify your ad to adjust to market conditions such as changing the rent amount, availability date, etc. Each time you update your ad, you will reset for another 90 days thereafter. If you have not updated your ad within 90 days, you will have to pay to post your ad again. + Why should I post a vacation rental on ForRentByOwner.com? 1. Posting your ad only takes a few minutes and it will be viewed by millions of prospective tenants. 2. The ad can be quickly Hidden when Rented or revealed when it becomes Available. 3. Your ad can contain a link to the complex property to give additional information. 4. Every time you click “Available” and Update, your advertisement goes to the top of the home page (if you have two or more photos). 5. Ads posted or updated with two or more photos are immediately placed on the top of the home page and state list for more exposure. + Can I link from this website to my website? Yes. When posting your ad, look for a box labeled “Website”. Put your website address in that box. When users view your ad, they can also click on your link to obtain additional information about the property or about the company that represents the property owner. A new window opens over the ForRentByOwner.com site showing the website you have entered. + Can you recommend a property manager in a town or city? + What are the random numbers at the bottom of the contact email form? Typing in the "Privacy Code" verifies that a human is completing the form and therefore reduces SPAM for ForRentByOwner.com registrants. + Should I report postings with non-child-friendly language? Yes. ForRentByOwner.com is a child-friendly site and we appreciate your letting us know about any inappropriate posting so that we can take action to have the posting removed. Email VCO@ForRentByOwner.com or call 610-689-0182. + What should I do if I receive an email solicitation that seems suspicious? Read the "7 Warning Signs" of fraud or SPAM that you received in your email after you posted your advertisement. Do not respond to the solicitation. Instead, forward the email to VCO@ForRentByOwner.com so we can block that user from ForRentByOwner.com. Thank you. 1. Unable to perform a credit check on a prospective tenant, i.e., wrong or no social security number. 2. Emails are overly polite, very poorly written, or express excessive eagerness to rent without having inspected the property. 3. Tenant does not send funds as promised or delays providing requested information. 4. Email is sent from another country or the tenant claims to live in one country but email is sent from another with inadequate explanation. 5. Beware of comments such as, "I need to hear from you today", "I am arriving next week and need to establish residency" or any indication of extreme urgency early in your communications. 6. Tenant asks you not to cash a rent or security deposit check, or asks you to purchase items or contract services on his behalf. 7. NEVER provide your bank account number, bank routing number, or other financial or personal information.